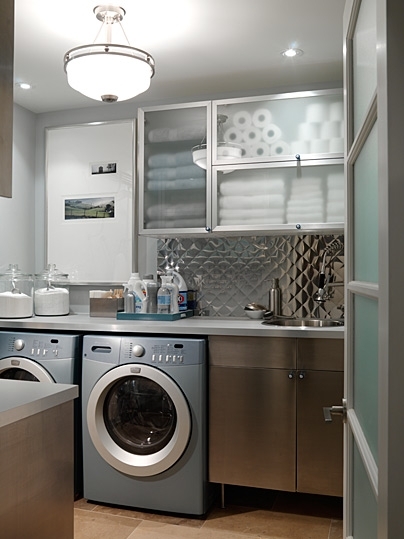 Doesn't it seem like now-a-days a Laundry Room is more than just a room to do laundry? More and more I'm seeing them used as storage areas, craft rooms, wrapping and/or shipping stations, etc. 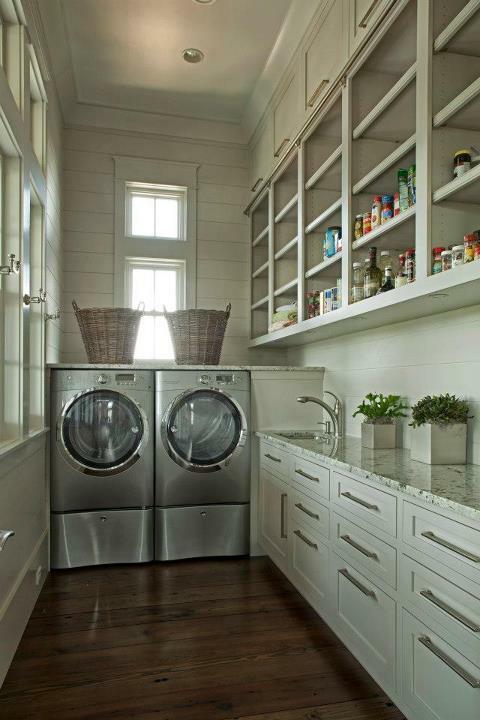 Check out these six beautiful Laundry Rooms that are designed to do more than just laundry. I love this clothes drying rack! 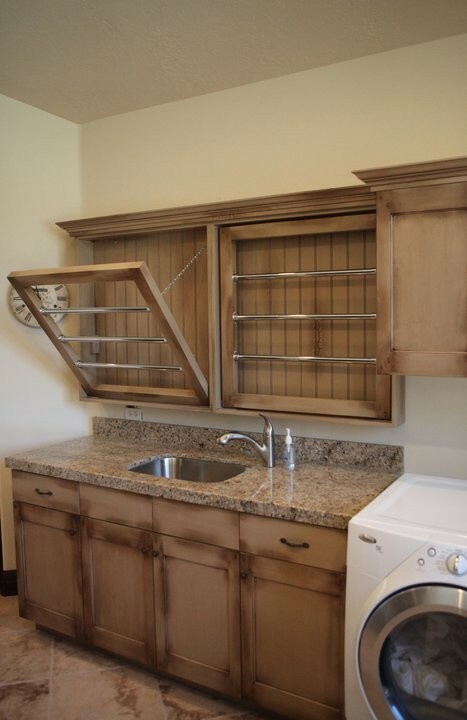 What other task would you like your Laundry Room to serve? Me? I wish I had LOTS more storage. 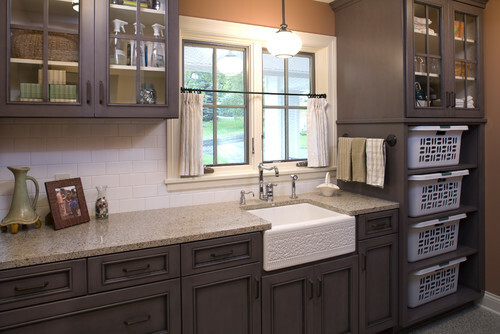 I'd love to store extra cleaning supplies and possibly some small kitchen appliances & serving dishes I only pull out a couple of times a year. Love all the space and storage in these laundry rooms! And, they are gorgeous! 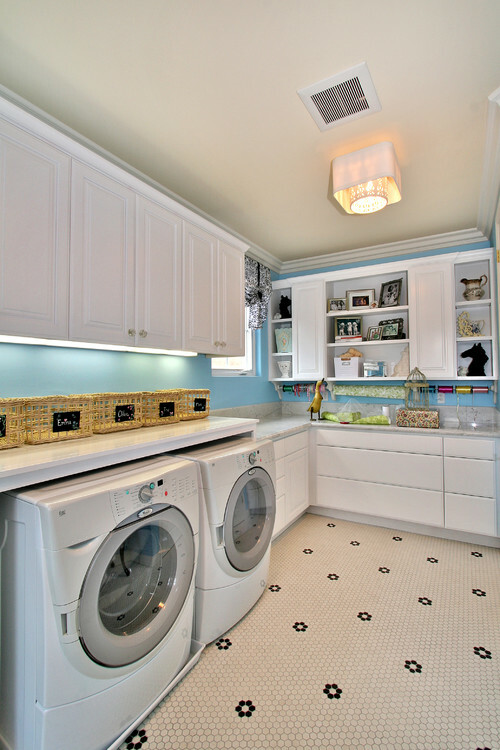 With all the time I spend in the laundry room, I would love to have a beautiful space like these!